Tonight was a dinner-time victory for mommy. Every evening it is a roll of the dice as to whether we will actually get our picky little monster to eat dinner with the family. The biggest cause of stress currently in my life is my daughter’s diet. She hates to eat. I have spoken to the doctor, talked to fellow mommies & Googled advice on how to get Mai to eat. Nothing works. She eats on her terms. Mai likes bite sized foods & anything in ball form. 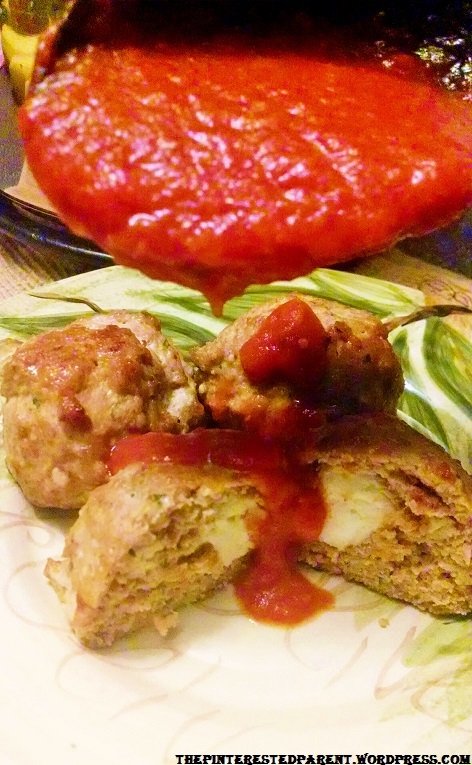 Meatballs are hit or miss with out finicky eater, but tonight it was a rare win. I am a very happy mama tonight. 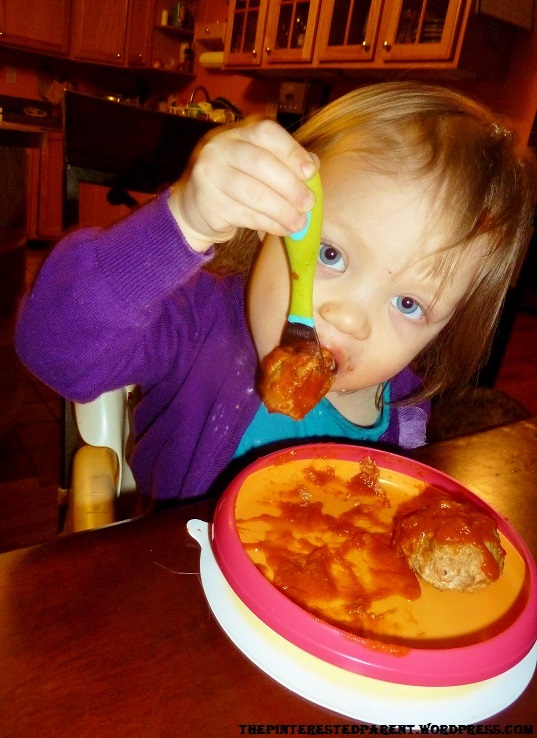 Maybe these meatballs will be a hit with your picky munchkins as well. Preheat oven to 400. In a medium sized bowl combine turkey, bread crumbs & spices. Add egg whites, Worcestershire sauce, milk & mix well. 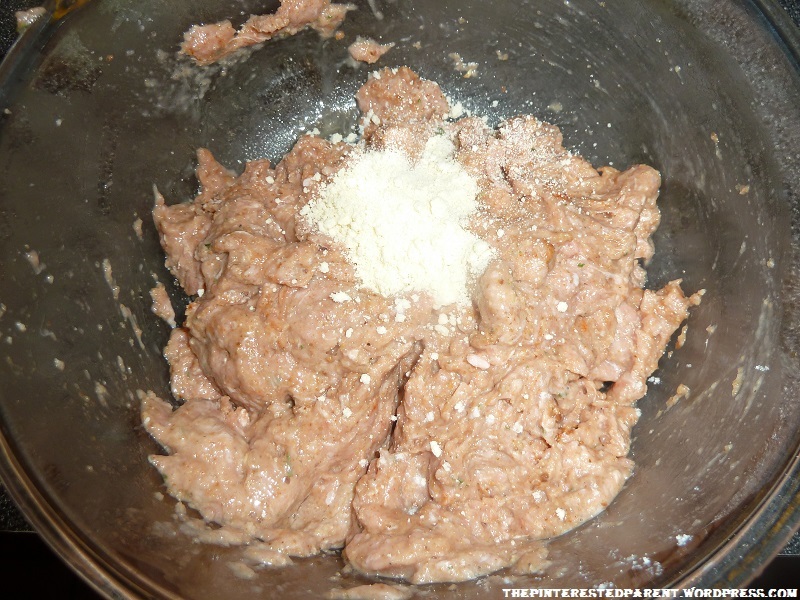 Add parmesan cheese & mix until all ingredients are well blended. 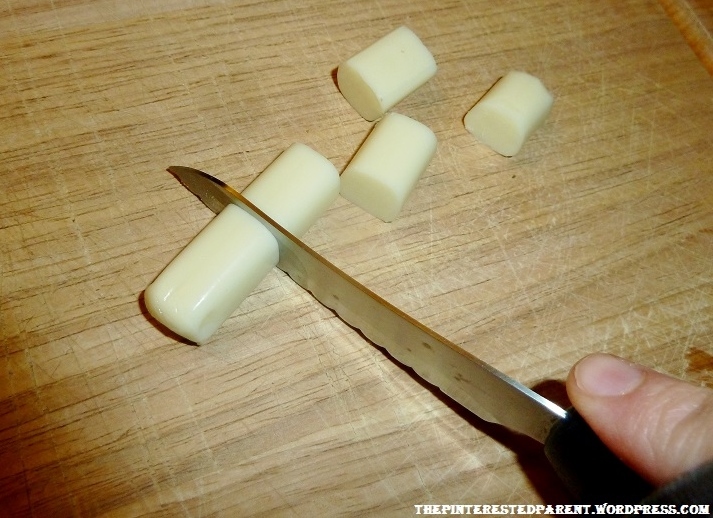 Slice string cheese into 3/4 inch pieces & set aside. Grab a spoonful of mixture, place a piece of cheese in the middle & roll a 2 inch ball around it. Place on a cookie sheet. Continue until you used all of your mixture. Bake for about 20-25 minutes. Thank you. These were a big hit with her. She even ate them the next day which never happens.